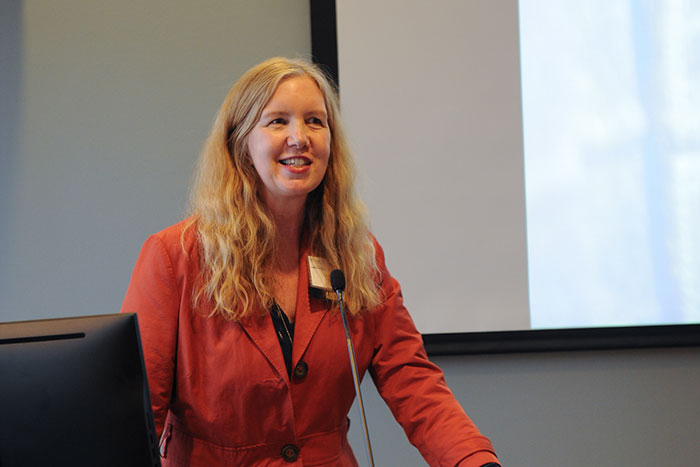 The Emory community filled the Jones Room of Woodruff Library last week for Feast of Words, honoring 113 faculty members -- from poets to physicists -- who served as authors or volume editors of books published in 2016. 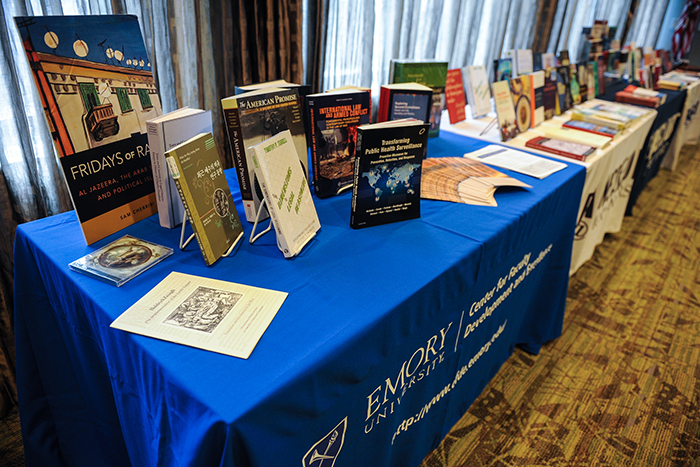 View the full list of Emory faculty books published in 2016. 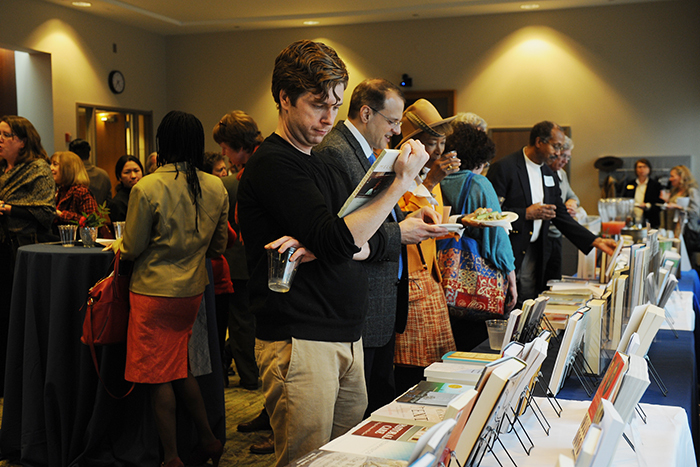 The Emory community filled the Jones Room of Woodruff Library on Feb. 6 for "Feast of Words," celebrating the diverse scholarship of Emory faculty members who published books in 2016. 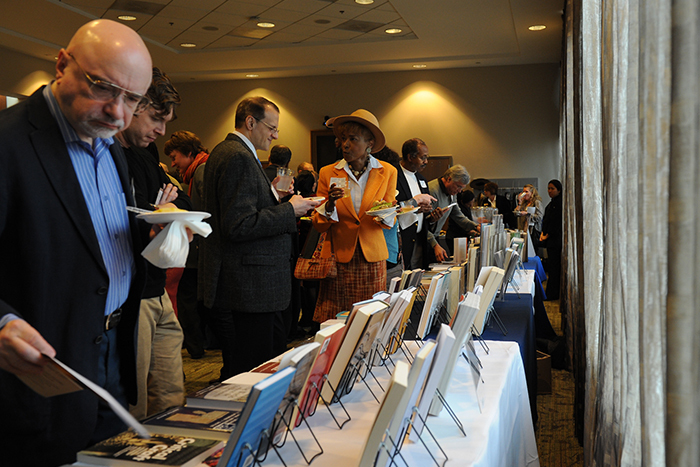 The annual gathering, hosted by the Center for Faculty Development and Excellence (CFDE), Emory Libraries and Information Technology and the Emory University Bookstore, and sponsored by the AJC-Decatur Book Festival, honored 113 faculty members who served as authors or volume editors of 118 books last year, on topics ranging from poetry to physics, pastoral care to public health. 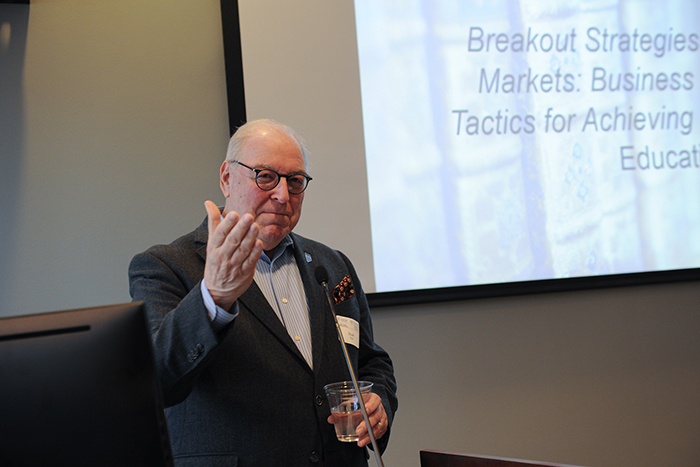 Goizueta Business School faculty members are included four times. 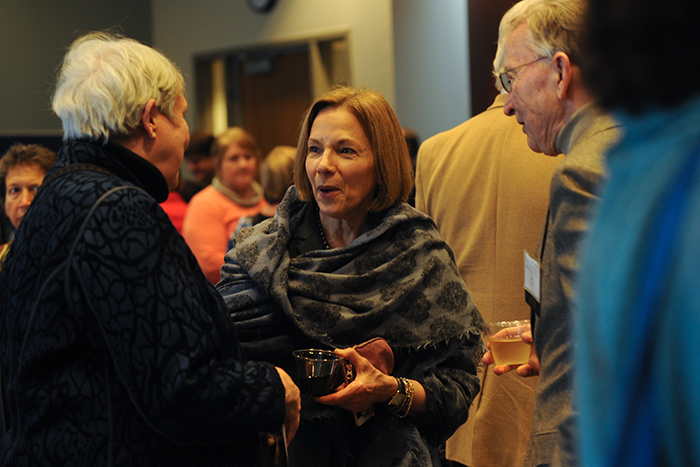 Emeriti faculty are included on the list nine times. Twelve faculty members are represented on the list more than once. "Neuro-Ophthalmology Illustrated" by Valérie Biousse and Nancy Newman, professors of ophthalmology in the School of Medicine, won the British Medical Association first place book award for neurology. 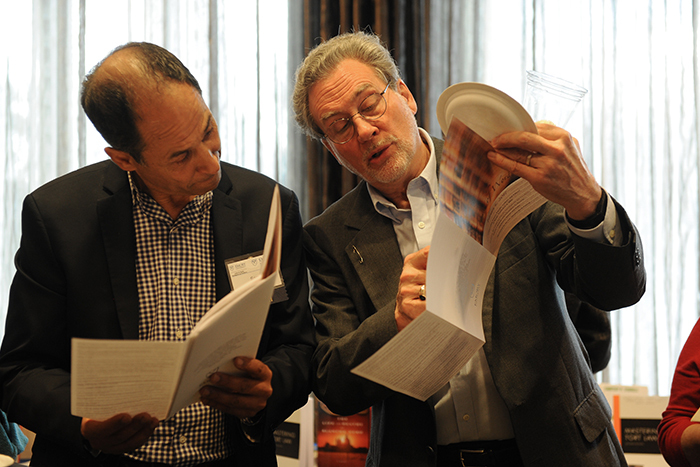 "These volumes represent many years of hard work. 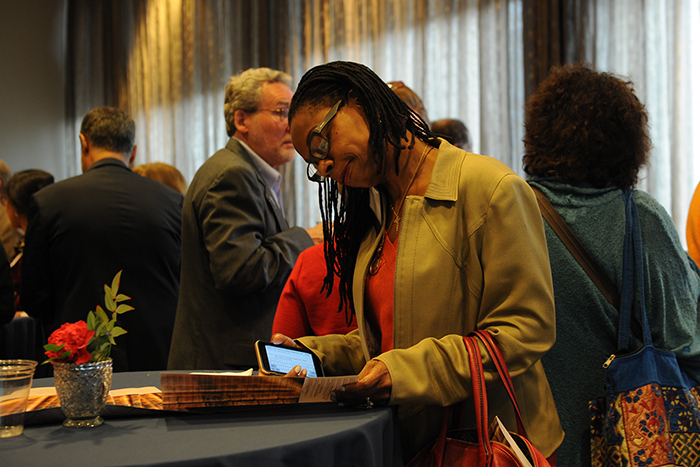 In some ways, writing a book can be a solitary activity, but increasingly at Emory, we are seeing this as a collective effort," Zola noted before leading the annual toast to the university's authors. "Whether it is a collaboration with co-authors and co-editors, a writing group that meets in person or one that meets virtually online," he continued, "faculty are finding communities of support and camaraderie for their work as scholars, creators and writers."